Lori Friedman, the designer behind Loriann Jewelry, creates pieces that revolve around exclusively cut stones, which stir the imagination and look like they came directly from the earth or washed up from the sea. She prefers organically shaped gems and is inspired by all that Mother Nature provides, from the found objects and colors of marine life to the textures and shapes that stem from plant life. The designer behind the collection, Lori Friedman’s work is a culmination of influences, including her own hobby of painting with watercolors and her passion for exclusively cut stones. Lori is inspired by all that Mother Nature provides, from the textures, found objects and colors of the sea to autumns in the woods, and the exotic flora and fauna of tropical paradise. Lori’s first career was in graphic design and as an art director for an engineering company, and eventually a freelance designer for small businesses. After a brief hiatus to spend time with her children, Lori’s attraction to uncommon gemstones and unexpected color combinations led her to create a small group of one-of-a-kind pieces with rare stones. She included the ivory pieces she held onto for so long. After all of these pieces sold, she continued designing and in 2016 launched a full-scale jewelry collection. 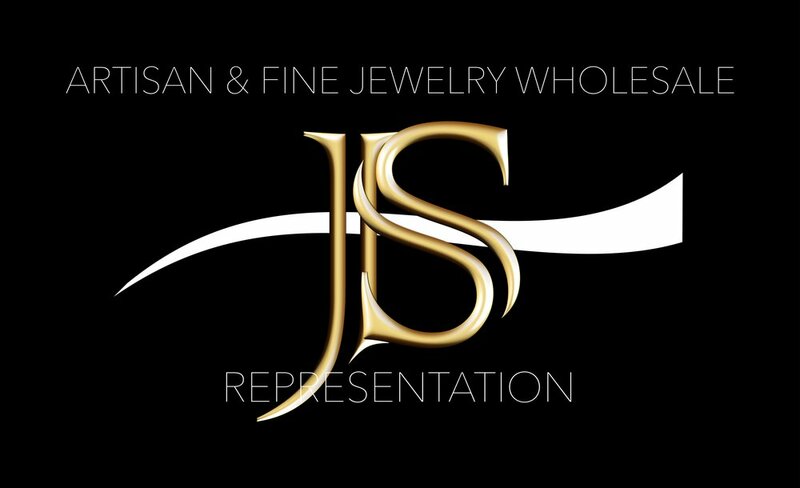 Her fine jewelry line has evolved from her first collection, which was aptly named Water & Ice and reflects the aquatic fluidity and calming translucency of the ocean. “My initial instincts are always to go with the tranquil and tonal blue, green hues but I have since realized I needed to expand past my comfort zone. As I move forward, I am working with combinations that evoke far off lands and tropical islands—punchy vibrant and exuberant colors which remind me of lush plants and vivid floral blossoms.” she explains. 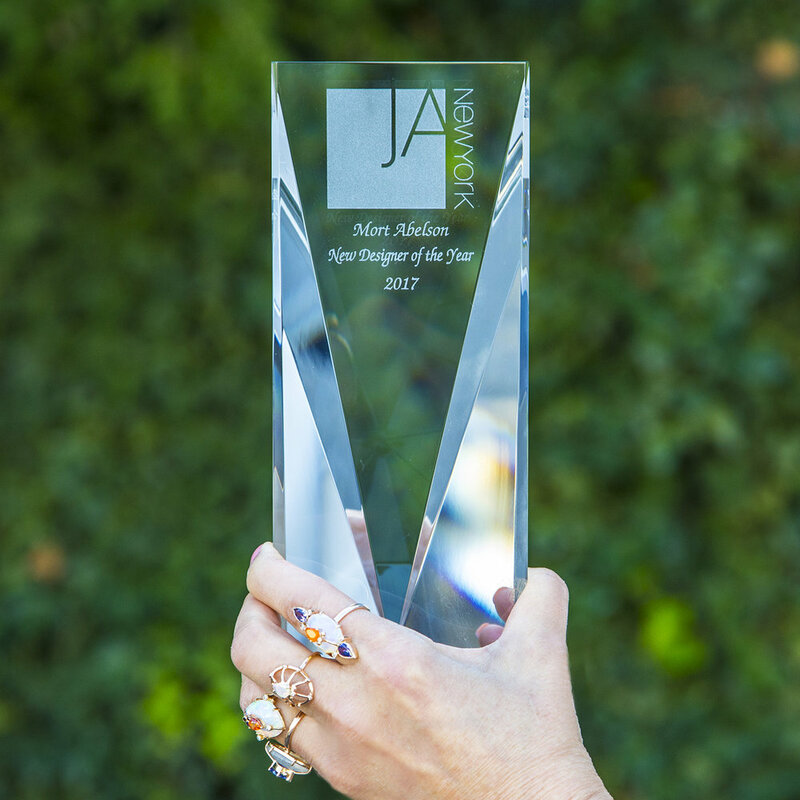 Lori recently won the Mort Abelson New Designer of the Year Award at the Summer 2017 JA Show. Irregularly shaped multi-slice pendants in tonal or complimentary hues are her go-to charms in the collection and her own wardrobe. Easy and versatile, they are the type of pieces you just have to throw on without thinking about when you are getting dressed. Translucent nuggets and large irregular pear shapes borrow from the tranquility of oceanic blue/greens of the sea. These same pear shapes come alive in a painterly palette of pastels popped with firey opal which picks up the color of each gemstone. Although all the main gemstones in the collection are organic in shape, Lori is accenting many of her pieces with a more refined finish. Her signature gold wire detail, which she would add to the front of her pieces as a design element, has now turned into a larger group with the wire forming a cage over the gemstones. Lori welcomes customizations and commissions.